Also reigning as the ONE Light Heavyweight World Champion, Aung successfully defended his ONE Middleweight World Champion title from Ken Hasegawa, 31, of Japan at “ONE: Spirit of a Warrior.” It was the main event of the evening following six MMA bouts and three striking-only matches on the ONE Super Series card. The middleweight bout between Aung and Hasegawa ended at 3:13 of Round 5. Referee Olivier Coste raised the hand of the Burmese champ as the winner via knockout. 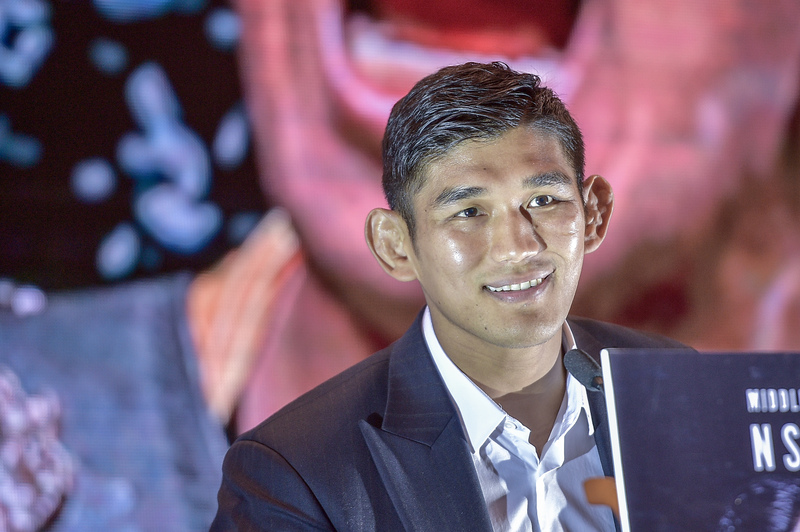 After defeating Hasegawa at “ONE: Spirit of a Warrior,” Aung improved his professional MMA record to 23 wins and 10 losses. It was his eighth win in ONE Championship. Aung has been competing in ONE Championship since 2014. The only fighter to defeat him in the promotion was former ONE Middleweight World Champion Vitaly Bigdash, 33, of Russia. Bigdash defeated Aung via unanimous decision at “ONE: Quest for Power” at the Jakarta Convention Center in Jakarta, Indonesia on January 14, 2017. They had their rematch on June 30, 2017 at “ONE: Light of a Nation” at the Thuwunna Indoor Stadium where Aung defeated Bigdash via unanimous decision, making the Burmese challenger the new ONE Middleweight World Champion. Between “ONE: Light of a Nation” and “ONE: Spirit of a Warrior,” Aung won two bouts at the Thuwunna Indoor Stadium. He submitted Alain “The Panther” Ngalani, 42, of Cameroon and Hong Kong via guillotine choke at “ONE: Hero’s Dream” on November 3, 2018 and knocked out Alexandre “Bebezao” Machado, 35, of Brazil via head kick and punches at “ONE: Quest for Gold” on February 23, 2018. Losing to Aung downgraded Hasegawa’s record to 16 wins and 3 losses. Before joining ONE Championship, the Japanese fighter competed in Deep, Titan Fight Championship and Rizin Fighting Federation.